Trey teased the Munsters theme in Stash. DWD was unfinished. Loved this show last night! Just to put things into perspective, this was my 52nd show and my first time seeing the boys since Shoreline 2000. I couldn't have asked for a better homecoming. This wasn't a super high energy show, but every song filled with confidence and great spirit. It seemed like a very "honest" show and the band was full of smiles. We casually strolled up to around the 14th row just to the side of Mike. Made things very intimate. The sound the band has now isn't as jumpy and snappy as back in the day which is completely understandable. No better or worse, just different. The sound feels a bit wider with more separation between the instruments. A bit more classic rock in feel in its raw sound. Really nice. Nothing was played poorly. A few very minor flubs here and there which they always quickly recovered from nicely. Tough to mention highlights, but safe to say that any song with some sort of jam was excellent. The Bowie started out with a blast of energy that caught my buddies and I off guard. Really great. We thought we heard some Llama teases throughout the show plus a 'Let My Love Open the Door' by Pete Townshend jam in the Disease. If I wasn't going to a wedding this weekend I would try to see all three of these shows! The scene at Randall's Island was fantastic. A lot of thought went into it. Hope they come back next year! 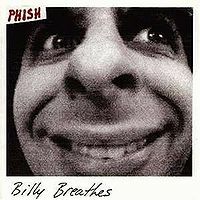 I get the feeling this era for Phish is comparable to the 1989 / 1990 era for the Grateful Dead. A resurgence of playing incredibly well while being able to do most anything they want with their arsenal of songs and styles. Make a point to see them again soon if you haven't for a while. Can two amazing jams make up for an otherwise pedestrian night of the Phish? For some, no. These people are all about setlist flow, song choices, and jams to create a “show” as a cohesive whole. I’m in the “House Money” category which feels like if Phish throws down a really special jam or two, I’m “playing with house money” and whatever else they do I’m fine with. I think last night was one of those nights. The Gin and Disease jams were so good that it made up for a second set that was like a killing field of ripchords. A very solid Set 1 overall (including another great “Stash”) helped the cause as well. “Moma Dance” — I like this song in the opener slot. Fun, funky start to the night. The song is basically the exact same every time out and last night was no different. I’m in the “Bring Back Black Eyed Katy” camp. BEK was so great because it was pure nasty funk from start to finish. I’m OK with the lyrics added via “Moma” but what bothers me is the decidedly unfunky rock&roll guitar solo that ends the song. Should’ve kept it funky! “Kill Devil Falls” — This was your standard KDF. Nice quiet start to the jam, but not much of a finish. “Ya Mar” — Yes! A great summer evening tune. This one also had a special ‘Cactus’ solo. Has this ever happened before? In the 90s it would be Leo solo and then Trey, but in 3.0 it is usually just Leo who solos (my dog is named Leo btw). Cactus tore it up per usual. “Bathtub Gin” — Most of us probably thought. Well, here we go, Gin is back in its comfortable set 1 placement, where we will get the standard Gin-build-to-a-peak-and-finish. 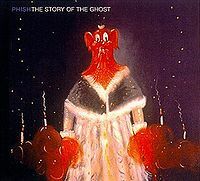 But, as Trey discovered at SPAC (and what Phish did with regularity in the late 90s and 03-04) is that all it takes to take Gin “out there” is to start playing rhythm chords out of the peak rather than going back to the “head” Gin refrain. And, shockingly, that is what Trey did last night. First of all, this Gin jam got off to a remarkably quiet and patient start — with Trey sustaining notes into really nice melodic phrases. This built to a trilling peak that if it had finished there would have been a top 10 3.0 Gin (I get annoyed because everyone says every Gin is top 10, but this one’s peak really was spectacular). But, instead of ending it Trey started the rhythm in a different key and laid down some interesting chordal phrases while Page went off on the Rhodes (I believe). Then Trey switched to a really glorious — bordering on 7/10/99 Chalk Dust glory, 15 years and a day after — melodic phrase that was repeated a few times before Trey once again laid back into chordal phrasing. The only awkward part of the jam was its return to the “Gin” refrain which could have been smoother. I’ve been waiting all 3.o for a first set Gin like this. Given that the SPAC version didn’t go anywhere really, this is easily the best “Gin” of 3.0. (yes, I’m considering the Gorge 09 and Manteca Bethel Gins as well). House money. Imo, this “555" was the best yet. Seemed slower which allowed a more textured groove to emerge in the jam section. Really tasty licks from all involved. This was the best played “Rift” in recent memory. Sure, Trey fell apart in the Page solo transition riff per usual, but he played the rest of his solos with remarkable authority and confidence. “Sample” is one of those songs that is a blast to play, but less fun for jaded audience members. “The Wedge” — The David Madigan stream (thank you!!!) really had drums high in the mix and it made me realize just how awesome Fishman is on this song. It really is a complex groove and Phish was playful with it last night. 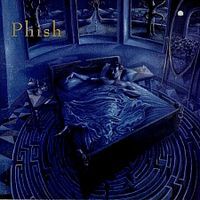 “Waiting All Night” — I really like “555" and this song — I will tire of them much later than songs like “Devotion” and “Sing Monica.” This one feels more appropriate in the second set, but it added a different flavor to this set 1. “Stash” — The first version at Mansfield had a truly “hose” moment where the crowd erupted. This one was less about the one moment and more about building dissonant tension for the length of the jam. 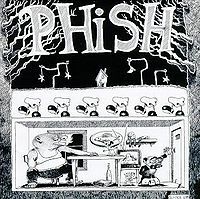 It got to mid-90s dissonant weird territory for a long while (using some loops), but what this 3.0 Phish lacks is the ability to build this tension into a seamless “landing” to the Stash chords that resolves all that tension and then peaks out for a while. This version’s landing was really pretty uncertain/awkward, but the tension section was top notch. Odd choice for a set closer. Last time that happened was 7/31/13 and I gather something special happened later that night. Set 2 opened with “Steam.” This song is such a slow, open groove its amazing it really has not yet developed into a jam vehicle. This rare opening slot I’m sure got a lot of hopes up. This was an excellent version that got really weird and dissonant. Starting with Trey on the wah, he established a trilling loop, and switched to his octave pedal that plays notes an octave higher than they really are, and Page was simply going off on the piano. Then Trey oddly started playing what sounded like “Llama” chords which felt a bit disjointed. The jam started to open up out of these chords, but then, inexplicably, Trey ripchorded this groove and played the “Steam” riff. He ripchorded “Steam” with “Steam.” Oh well, maybe we’ll get a 15-20 minute version some day. Still, this might be the best version yet. “Down with Diseases” was once again in the rare “two” spot of Set II. This means it still holds potential for a long and interesting jam. That is what we got. Trey was particularly energetic in the type i A mixolydian part of the jam, playing really expressive rock licks. Per usual, he ended that by switching to chords in a minor key to signal it is time for the jam to exit the structure. This one really settled into a groove that rhythmically reminds me of the Pete Townsend song, “Let my Love Open the Door” — not a full on tease but the same feel. It starred Page McConnell who provided organ color for the first part of the jam. When Trey started playing really tasty bluesy licks, Page switched to the piano and really went off. Then, Trey started playing more punchy rhythms that signaled some ‘stop-start’ jamming, which, post Tahoe Tweezer, means — “woooo!” I’m fine with it in moderation. After a few “woo” rounds the jam collapsed into some utterly beautiful chords from Trey with once again Page going off on the piano (including some “Simple” teases from Leo). This bliss section remained mellow until Trey went into “Golden Age.” Great jam and more house money! If the SPAC version was amazing and weird, this version was mellow and completely pedestrian. 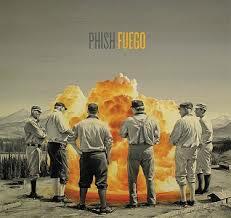 When “Fuego” hit next, a lot of people wondered if they would explore it like the previous two versions. I knew a late set version was much less likely to do much. And that was the case. Just when the jam started to go out there and get interesting, the next ripchord was brought to you by “David Bowie.” I sincerely wonder if we will ever hear the composed end section of “Fuego” again? Maybe if they throw it in a set 1 again? “David Bowie” was a solid type i version that would venture off into weird tension territory before always resolving back to the Em-D vamp of the jam. The end section was played with exceptional fire and energy. The band encored with “Character 0" which seemed more funky than usual, but was over by 10:50. Those of us that heard of a 11:00 encore wondered what might come next. Nothing. I guess Phish wants to save their energy for the next two nights! All in all, an average show, but the Gin and Disease jams were so great that they elevated the show to average-great territory. So good that we can overlook some of the other unpleasant factors. First set I was in the back, surrounded by chatty fans and enjoying the sunset. It all made the set a fairly mellow experience, with the Gin jam being the one exception. Second set, I moved up, maybe 20 rows back Mike-side. It was louder there, and with the darkness of night and the spectacular lights, the show took on a much more intense vibe. I took "Steam" as a clear change in energy, made sure to get in close, and boy am I glad that I did. - Moma -- funky and chill, less rocking out and yelling along to the guitar melody than in many versions. - KDF -- standard. Page sounded great all night, and this was when I first noticed the mix -- relative to what I'm used to, either the keys were up or the guitar was down. - Ya Mar -- nice bass solo. - Gin -- finally some excitement, and VERY satisfying jam. Rocked out in a few different and interesting ways -- see solargarlic78's review for the details. - 555 -- sparse and funky, but a bit punchless, and they continue to flub the backing vocals, which really bugs me. Fantastic sound, especially the bass. One day this tune will go all Wolfman's on us, but this was not that day. - Rift -- standard, well done. - Sample -- standard, but I have to say, for a song I've heard a bazillion times, extremely satisfying. I think the crowd got into this more than anything else in the set. - Wedge -- very unusual moment in the jam: at about the part where it usually dies down and ends, Trey threw in a little rock shredding, and then a little more. No big deal, but a welcome surprise. - Waiting -- not a fan of this tune... yet. I'm hoping it gets the Roggae treatment, with some additional melodies and exploration. Some nice sounds and ingredients in there, but this was pretty much nap time. - Stash -- no huge climax, so-so ending, but really excellent playing until then. Again, see solargarlic78 for the details. - Steam -- utterly dank and ominous. Perfect jamming to fit the menacing groove. Got the crowd's attention. Best version I've heard. - Disease -- I'll part company with the other reviewers on this one. 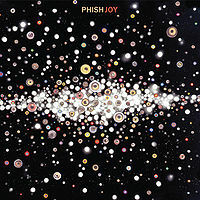 I always go to Phish shows hoping for at least one long, exploratory jam, but I'm accustomed to it by now and view it more as a nice component of a good show, rather than a huge special occasion. This jam gave me what I wanted, but nothing more. It was long, it never got stupid, but it also never reached any heights of inspiration. By all means, listen and enjoy, but do not seek out this show just for this song. - Golden Age -- fit in very well here. Short, chill version. - Limb by Limb -- straightforward. Vocals were pretty good, which made me happy. Nice spotlight on Fish at the end. - Fuego -- bringing back the energy! Standard, but very satisfying in this spot. The jam was very concise, and its short ending might have been frustrating if it hadn't been immediately followed by Bowie. As it was, I dug the flow. - Bowie -- best Bowie I've ever seen live. Nothing unique to it, just a truly excellent jam from beginning to end. Perfectly paced, building and building, and just when we all couldn't dance any harder, there comes the familiar trilling signalling the home stretch. I've attended and listened to enough shows that I don't get surprised much any more. In lieu of surprises, moments like this Bowie are why I go to shows. The energy was just incredible. My neck is still sore from thrashing to this. - Cavern -- I have no idea why this worked so well to follow the climactic Bowie jam (the type which often closes a show), but it did. Standard, but played with energy. Fish sounded great all night, and this was no exception. - C-Zero -- very short break before the encore. I felt like the show closer was really Bowie-Cavern-Character Zero, and it was excellent. I had just enough time to recover and rock out again. Solid C-Zero -- the jam kinda stayed at one place for a while before going into the ending, which was bad (no direction or build) and good (more music, uncertainty, suspense). The ending was fun as usual. Overall a great time. This show started out as a casual party and finished as an intense musical experience I won't soon forget. No idea if others felt the same, or if it was a matter of where I was and who I was around. I'd rate the show as average to slightly above, and I highly recommend the Gin, Steam and Bowie. My two cents: I thought last night was a great show through and through, at least as good as 7/4 - Gin and Disease obviously being the highlights. I didn't hear in the second set quite the same "killing field of ripcords" that @solargarlic78 did. To be sure, after Disease, the jams were shorter and more restrained - and I would have loved a more stretched-out Bowie - but I thought that the flow was great and (though this is somewhat impressionistic) that the band played from beginning to end with an intensity that never faltered, as it sometimes does these days. And it's simply hard to complain about any show with two legitimately *big* jams. Moma was stable and a nice way to get your feet wet. No need to embellish or make something out of nothing. Kill Devil Falls pretty much a stable ascent in energy from Moma, to the point first set stuff. Ya Mar, now we're talking. This was my first in 16 years so it holds a more personal value. It was really good. I'll validate that with the fact that it sounded clean, the band put the effort in for it, that nice side hill vantage point, and the fan next to me who was super excited to be hearing it too. Now the set is cooking. Bathtub Gin i think will come back in hindsight to be something we talk about. This was a ripping version. Long, not to boiler plate, exploratory jamming (in the first set, yup) and they brought it back to a finish. This was a stellar version and a must hear. 555 brings us to the first Fuego tune of the night and its presence leads to good things, so the song eludes to and with the power of hindsight, did. Rift is fun and I don't ever mind hearing it live. It keeps the pace set high. Sample, Wedge and Waiting seemed standard issue. They filled out the set cleanly. Stash brought a prelude to what was to come with closing out the first half. A nice version that was to code. Having witnessed the MSG Steam first hand, i immediately hoped but knew that the standard it set could not be touched. It was a nifty start to the set, a keeper in general. 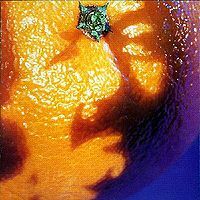 DWD always delivers, in fact we discussed it earlier in the day to the detail that 12/31/93's jam out is one of my favorite things if all time. This jam dived in deep a la 1st set gin, and at nearly 19 minutes, the 2nd set now has attitude and we would soon find out, high quality. GOLDEN AGE, to sum up the general attitude, people are now just really happy. Limb by Limb brings a nice free flowing breather after the torrid start of the set. DAVID BOWIE went inferno, when doesn't it? This version did not kid around and ran nicely out of the Fuego setup. The only thing was, would this be it for the set? I'm sure we are were guilty of clock watching, with this early curfew and all. Plus the set was so good now it had officially gone to "keep it going boys" level 5. IT'S NOT OVER!!!! In a fitting end to a spectacular second set and in a tribute to the vinyl release earlier in the day, Cavern closed out what felt like a very purposeful and fast set. Character Zero adequately stayed the course to close out night 1. I would consider this show a nice well balanced show with 2 entertaining sets of appropriately placed songs. It was a solid, we'll played show as we've come to expect these days. The highlight of the show for me would be Bathtub in set 1 and DWD in set 2. Those were very nice to hear and I think the audience agreed based upon everyone's dancing energy around me! I love Golden Age and I wished they jammed it out like last year at Hampton, but alas....that didn't happen. Fuego might be my favorite new song and I was stoked to see where tonight's version would go, but it wasn't the 20-25 min jam like what was played at SPAC or the Mann just a couple of nights ago. That's OK I guess. Still an all around good well played show. As always these days, worth a listen and download. 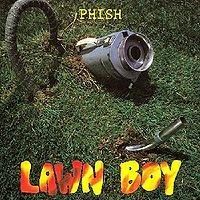 The Bathtub Gin and the Down with Disease are the "long jams" of this show, and Bathtub Gin is remarkable for retaining its peaky integrity from pre-hiatus versions and Down with Disease takes a 3.0-ish turn towards exploratory jamming that pays off pretty well, retrospectively, for a 2014 jam. The Moma Dance, 555, Stash, Limb by Limb, and David Bowie all have faithful Type-I readings here. It's, in fact, this version of 555 that re-convinces me that it's a worthy addition to the Phish song catalogue. 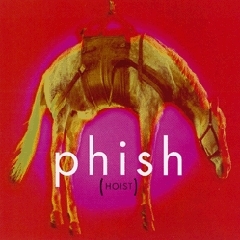 This is not necessarily a God-tier Phish show, but with two jams approaching 20 minutes, it deserves a listen from even the most sclerotic of phans. Fuego gets an interesting rendition contrasted to the two most previous Type-II excursions. It's an average-great show, but one that phans of 2017 should probably revisit, as it features Trey playing his guitar during the verses of songs, something that happens less and less as 3.0 projects, and which I wish he'd address because it dampens the jams from shows as fertile as those of the Baker's Dozen or the New Year's Run 2017. Great show....I can't believe how close to stage I got. I actually got to see Fishman furrow his brow while concentrating on those insane fills he busts out. Lol. As for the music and song choices, this felt like an old-school throw-back show. Fuego fit right in with the vibe layed by classics like DWD, Bathtub, and Sample. Damn.....am I the only one who feels that Sample just captures the emotion of old school Phish. I dunno, when Trey started those opening chords to Sample, I felt transported back to the late 90's. That song does it everytime, moreso than any other song they have. I love Randalls venue, and I hope they make this an annual event. I'll be going all 3 nights for the rest of my life! And there was free Ben and Jerry's! Holy Mackeral Batman! I was on Mike side, no more than ten yards from the stage which is probably the closest I've been at a Phish show. Between that, how terrific the sound was there, the perfect weather and an excellent setup for the venue and vendors, this really felt like a special show, even if 7/4/14, which I also attended, was probably better strictly in terms of the music. But this show was no slouch. The first set was outstanding, with Ya Mar (Leo *and* Cactus solos! ), Stash, and THAT GIN being standouts, but I didn't really think there were any weak numbers. Even Rift was played fairly cleanly. The second set was not as consistently impressive across the board as 7/4/14, but the DWD was really incredible. The groove Trey settled in for the second phase of the jam was terrific, and Fishman was really spectacular on the drums, and not just here but throughout the set. The other jams were fun if underdeveloped, and David Bowie was a strong way to take us to the finish line, with a typically fun Cavern and Character Zero. Can't wait to see what they bring tonight.